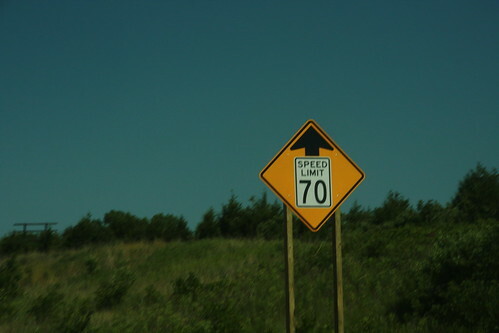 Even though KDOT raised the speed limit on much of I-70 to 75, there are a few places where the speed limit remains at 70, most notably a "transition" area between Auburn Road and I-470 west of Topeka. 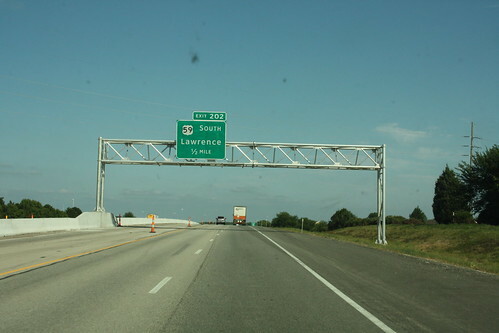 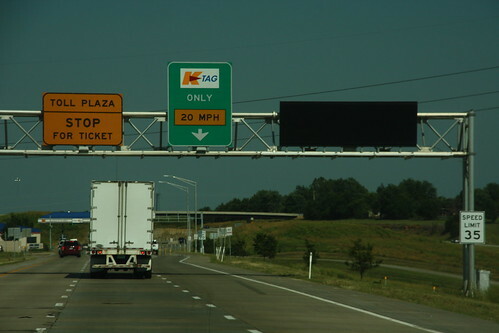 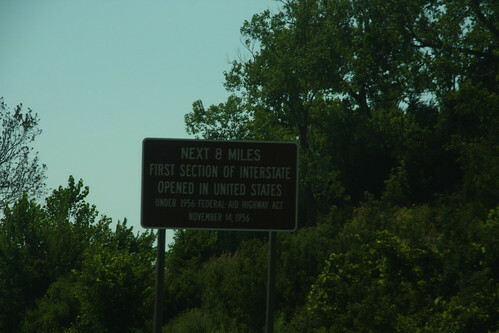 Variable Message signs have been added to several gantries along the Kansas Turnpike, including this one at the East Topeka interchange. 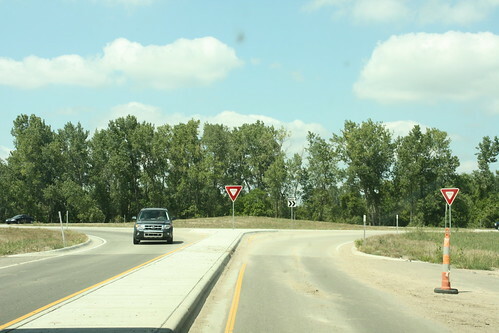 The Permanent approach to the roundabout at the East Lawrence Interchange on the Kansas Turnpike.